Queen's Birthday long weekend saw MDR & MB make their annual pilgrimage to Lake Tinaroo for the Wooden Boat Assoc. of Cairns' annual "Tinaroo Raid". This is a fun event which is beautifully organised and very relaxed. Weather was superb and the company great. 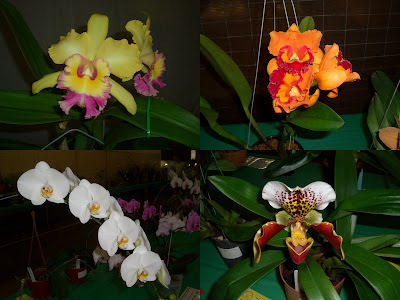 After the Raid finished early Sunday afternoon the pair made a dash for nearby Atherton to visit the 44th Tropical Queensland Orchid Council Conference & Show at the local showgrounds. The conference was just wrapping up but the floral displays were still in place and MB wasn't disappointed, the orchids were enchanting.